The Pastoral Care and Education Team is here for you for support and advocacy. The team has recently been revitalized, so come back to this page often to find out what is new. Here are some resources and links you may find helpful, and do read this article from our Crossbeams newsletter introducing the team and how you can help. We have started to add pastoral care resources to GLAD’s resource list. Check out liturgical and pastoral care resources here. Check out suicide prevention resources here. And find support resources for your spiritual journey here. And do send us your suggestions for resources to add to our list. You can reach a member of the Pastoral Care and Education Team by calling (317) 721-9257. Learn about Katy, Nicki, Erin, and David below. What can I do if someone I love is suicidal? You can find suicide hotlines and resources here. Isolation and withdrawal from friends and family. Expression of a preoccupation with death. Expression of feelings of hopelessness and a belief that things will never get better. Giving away prized possessions or making out a will. Expressing suicidal thoughts and feelings (“I want to kill myself” or “I wish my life was over”). Listen without judgment to the person and take their feelings seriously. Accept the person’s feelings as they are. Ask if the person has a plan for suicide. A developed plan is a sign that the person is serious about suicide. Remove any dangerous items from the person’s home (gun, knife, razor, pills). Show your concern for the person and the hope that they will not choose suicide. Remind the person that feelings change over time. Point out that death is final and cannot be changed. Develop a plan for help with the person. If a plan cannot be reached and a suicide attempt is imminent, call 911 or go to a hospital. Promise confidentiality. You may need to call a mental health professional. Lecture the person or say that suicide is wrong. Argue with the person or give them platitudes (“You have so much to live for”). Give advice or offer to fix the problems of the person. Rev. 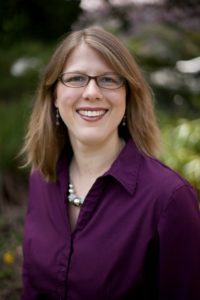 Dr. Katy E. Valentine is a Disciples minister and a New Testament scholar. She is researching transgender and gender non-conforming (or better yet, “gender creative”) identities in light of the New Testament. Visit her website at www.transfriendlybible.blogspot.com to find out more. Currently, Katy is the Associate Minister at First Christian Church in Chico, CA and the Minister of Women’s Ministries (a trans women inclusive ministry) for the Christian Church Northern California-Nevada Region. Nicki Arnold Swindle has been involved in progressive social justice activism and service for most of the past twenty years, though her heart has had a radical shift towards her calling of working to ensure the LGBTQ+ community feels welcome as part of the Body of Christ and has access to resources that promote healthy relationships. She is the spouse of a military veteran and mother to many, including six forever children. Nicki has a Bachelor of Arts in political science and is simultaneously working to finish her Bachelor of Social Work (BSW) from Jacksonville State University in Alabama and her Master’s in Divinity (MDiv) from Asbury Theological Seminary. She spends most of her time between Anniston, Alabama, and Orlando, Florida. 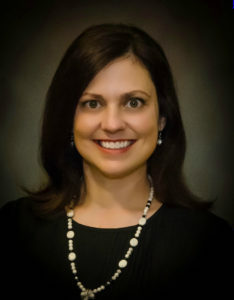 Nicki is a candidate for ordination in the Christian Church (Disciples of Christ) Alabama-Northwest Florida region and a member of her local PFLAG. Nicki is hoping to have a bivocational ministry as a Family Life Minister and a military reserve component chaplain, as she feels we need more open and affirming communities within and outside of the military. She is currently working on her first book, The Rainbow Marriage, which is a guide for Christ-centered inclusive and affirming marriages and relationships. Rev. Erin McCreight is an ordained Disciples minister in OH, currently serving as Chaplain at Chapel Hill Retirement Community in Canal Fulton, OH. 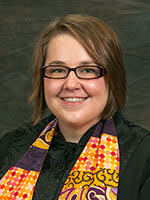 Erin attended Bowling Green State University with a degree in Sociology, and Vanderbilt Divinity School for her M. Div. She served in churches through several internships, field work, and volunteering; and has done 4 units of Clinical Pastoral Education. 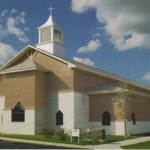 Her home congregation is the First Christian Church of Stow where she had been active as an elder, choir member, and worship team leader. Erin has a passion for pastoral care, community building and worship, and helping others seek wholeness and peace. Rev. David E. Cobb is an APC Board Certified Chaplain who serves as Director of Spiritual Health at the Martin Luther Campus, an Ebenezer senior living community and skilled nursing facility in Bloomington, Minnesota, where he is also a CPE clinical coordinator. 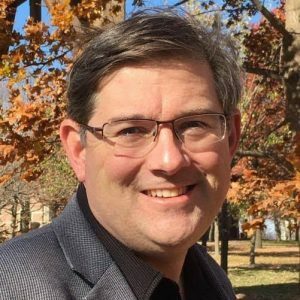 He has taught courses in Bible and ethics at TCU and Brite, served congregations in Illinois, Texas, Virginia, and Minnesota, and has shepherded his last two congregations through the process of declaring themselves Open and Affirming. Representing O&A churches, he spoke before the Minnesota Senate subcommittee during the Marriage Amendment and Marriage Equality votes, and he currently promotes GLBTQ+ equality in senior care. He serves on the Upper Midwest Region’s Committee on Ministry and is a member of First Christian Church in Minneapolis.